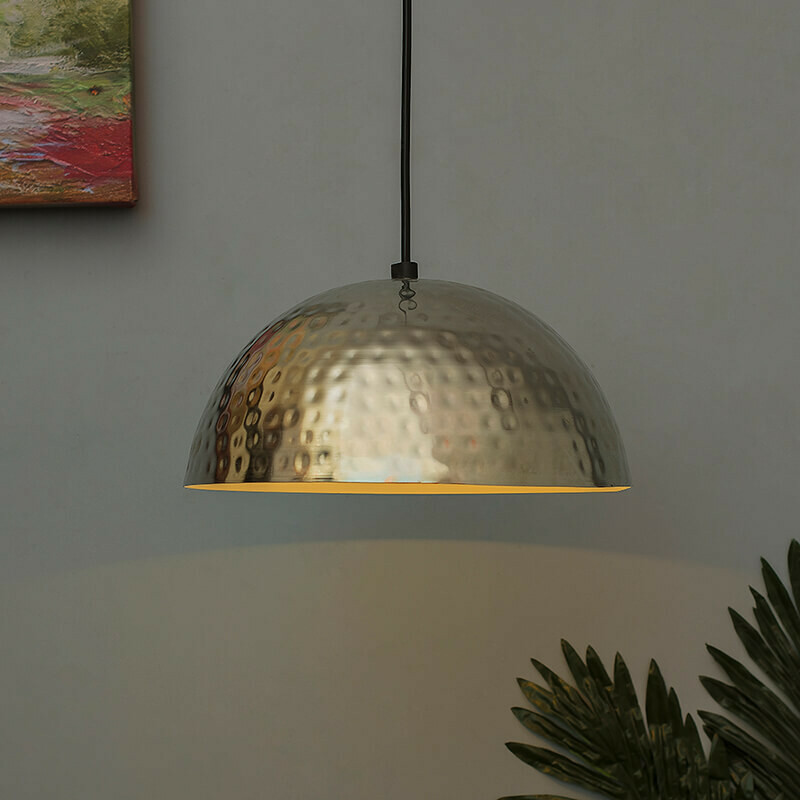 This hammered metal pendant is perfect for bar, restaurant, dining room, cafe or club. 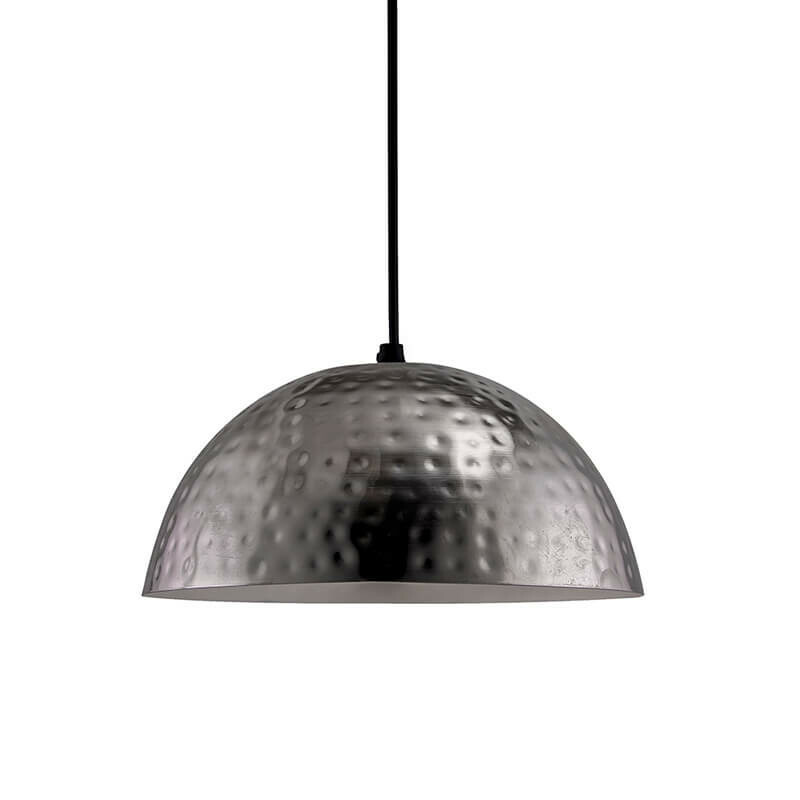 The metal surface is hand hammered to give it classic shape, and is antique nickel coated to give it an industrial feel. The inside is white coated, for better reflection of light. 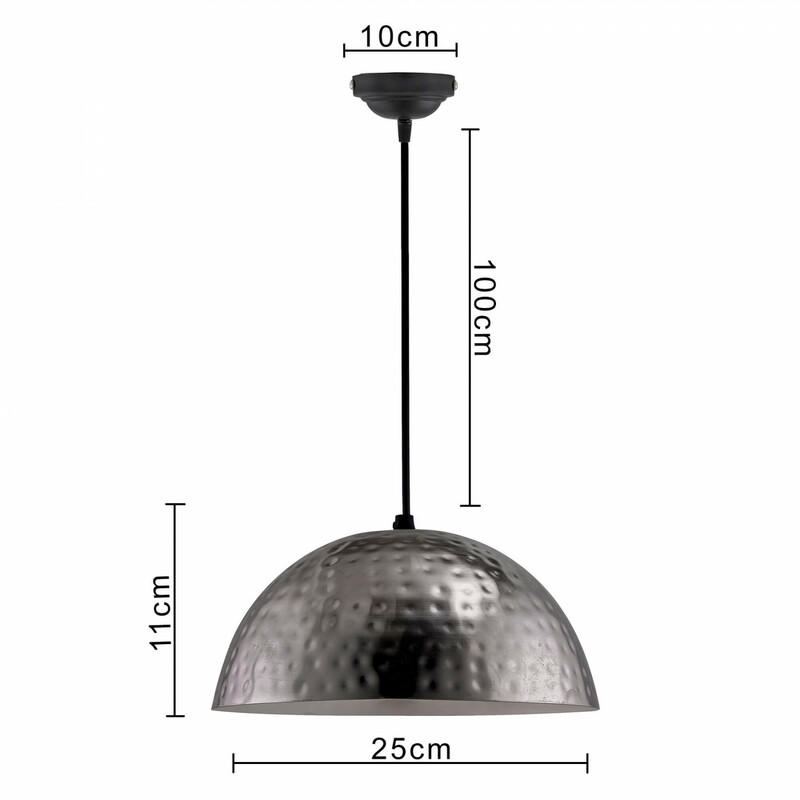 This piece comes with standard E 27 fitting and a bulb included with the package. This retro piece is sure to delight your guests and get the conversations started. 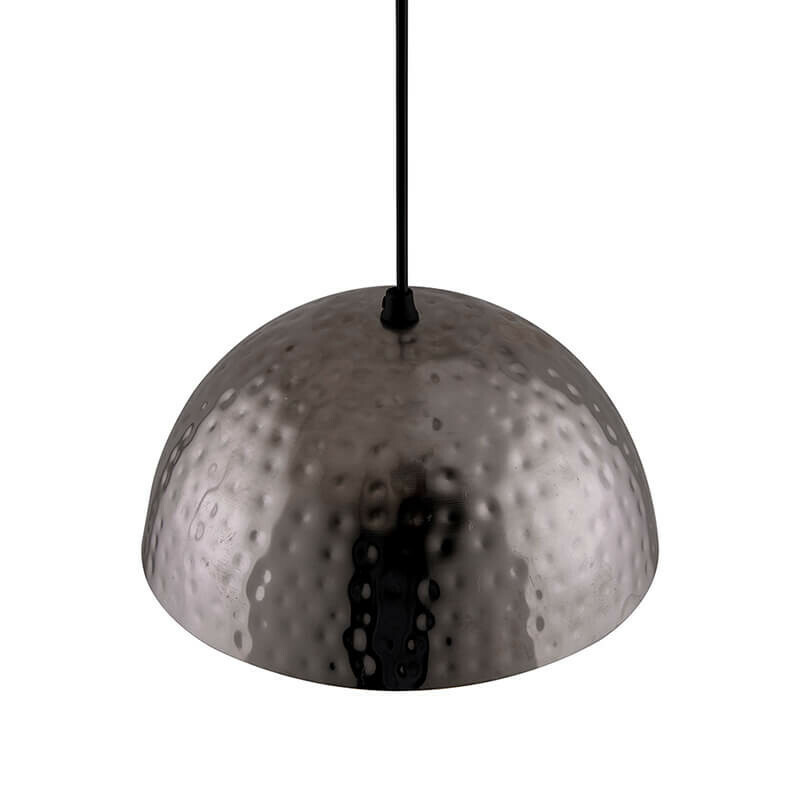 You're reviewing: Antique Nickel Hammered Pendant, Hanging Lamp, 10"